On behalf of admin of JML Law, A Professional Law Corporation posted in Pedestrian Accident on Monday, Jan 15 2018. Any intersection in Long Beach can be potentially deadly for an inattentive or distracted pedestrian, but there are those that account for the most pedestrian deaths every year. 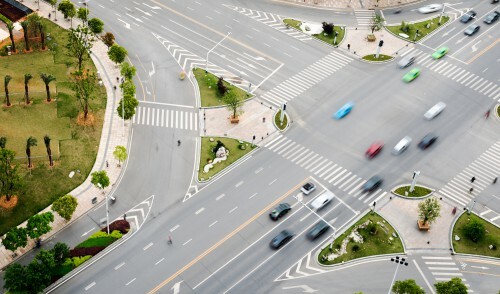 Today, our Long Beach pedestrian accident attorney at JML Law is going to review the most dangerous intersections for pedestrians in Long Beach. Why? Because (1) you, as a pedestrian in Long Beach, need to be aware of the worst intersections in your city to either avoid them or be more careful when crossing them, and (2) to get the attention of local officials to address the dangerous conditions on these intersections and minimize the risk of pedestrian accidents. Fact: 2016 was the bloodiest year for pedestrians in the U.S., totaling over 6,000 pedestrian-related traffic deaths. There are certain intersections in Long Beach that are especially unsafe for pedestrians. Improper traffic signage, poor road conditions, inadequate visibility, unsafe speed, improper turns, and many other causes of pedestrian accidents that result in hundreds of deaths on Long Beach intersections every year. What makes Long Beach intersections so deadly? Insufficient time for pedestrians to cross the street. Whatever is the cause of a pedestrian accident, our car accident attorneys in Long Beach will investigate your claim and help you obtain maximum compensation for your injuries and damages sustained in a traffic collision. How to sue the city for a pedestrian accident? Long Beach officials either knew about the condition or the condition has existed for such an unreasonably long time that the city should have learned about it to fix it. Only an experienced pedestrian accident lawyer can help you prove these elements, determine liability and sue Long Beach for your injuries and damages. Consult our Long Beach pedestrian accident attorneys at JML Law today to find out the best legal strategy in your particular case. Call our offices at 818-610-8800 or send an email to get a free consultation.